Telemundo is an American television network that broadcasts in Spanish. The network is the second-largest Spanish-language content producer in the world, and the second-largest Spanish-language network in the United States, behind Univision. Telemundo reaches 58 percent of Hispanic and Latino American households in 142 markets via over-the-air, cable, and satellite television. An average of 1,035,000 total viewers tuned in for its weekday prime time lineup during 2007. Telemundo is the only Spanish-language network that produces most of its telenovelas. Unlike Univision, which only has Spanish captions, many programs on Telemundo air with closed captions in both Spanish and English. Telemundo was founded by Ángel Ramos with a television station in San Juan, Puerto Rico in 1954. Telemundo Communications Group, the network's parent company, is part of the NBCUniversal division of Comcast. Don Browne is Telemundo's president. Jeff Gaspin, who is president and COO of Universal Television Group, oversees the network. Telemundo has 1,800 employees, and is headquartered at 2290 West 8th Avenue in Hialeah, a Miami, Florida suburb. The majority of Telemundo shows and programs are filmed in their Miami studios. In 2011, 85% of Telemundo's telenovelas were filmed in Miami. Its most broadcast series were La Tormenta , Bella Calamidades , Pasión de Gavilanes , Zorro: La Espada y la Rosa , ¿Dónde Está Elisa? , Doña Barbara , Más Sabe el Diablo , El Fantasma de Elena , La Reina del Sur and El Rostro de Analia . WKAQ-TV launched the Telemundo brand on March 28, 1954. The station was founded by Ángel Ramos, owner of El Mundo, Puerto Rico's main newspaper at the time, and of Puerto Rico's first radio station, WKAQ, also known as "Radio El Mundo". Ramos wanted to maintain a consistent branding for his properties using the mundo theme (Spanish for "world"), and thus named WKAQ-TV Telemundo (in effect, "Teleworld" or "World TV"). He had tried to obtain a television license as early as the mid-1940s, but due to a Federal Communications Commission licensing freeze for all new American television stations due to World War II, Ramos had to wait until 1954 to obtain the license. In the beginning, Ramos maintained continuity between his radio and television stations by signing an exclusive deal with the most famous and influential actor/comedian/producer in Puerto Rico, Ramón Rivero, better known as Diplo, whose "El Tremendo Hotel", broadcast through WKAQ Radio, was the most popular radio show ever in Puerto Rico. It was Rivero who produced the first comedy/variety television shows for WKAQ Telemundo, , and then La Farándula Corona, shows that catapulted WKAQ to the top of the ratings. During the 1970s and 1980s, WKAQ-TV, then branded as Telemundo Canal 2, was a major producer of soap operas. The channel was also known by its "fingers" logo—a bold number "2" with the silhouette of two upright fingers inside the number—and called itself "El canal de los dedos" . In 1984, WNJU in Linden, New Jersey and KSTS in San Jose, California formed NetSpan, the second Spanish-language television network in the continental United States. They were joined in 1985 by KVEA in Los Angeles. The next year, KVEA's part-owner, Reliance Group Holdings, acquired the Telemundo brand when it purchased Blair Broadcasting. The purchase included WSCV in Ft. Lauderdale/Miami and Puerto Rico's WKAQ-TV (known for decades as "Telemundo Canal 2"). In late 1986, Reliance purchased WNJU. In 1987, Saul Steinberg and Henry Silverman of Reliance Capital Group merged all these stations into the Telemundo Group. The new corporation quickly went public, and in 1987 changed NetSpan's name to Telemundo. Later that year, it purchased additional stations in San Francisco, Houston and San Antonio. Between 1988 and 1991, Telemundo acquired stations in Texas, New Mexico, Arizona, and Washington, DC. The network decided to outsource its news division in 1988; CNN produced two newscasts, branded Noticiero Telemundo CNN (lit. "Telemundo CNN News"). Produced in Atlanta, Noticiero Telemundo CNN was anchored by Jorge Gestoso and María Elvira Salazar. Lana Montalbán, who anchored the show known then as Telemundo HBC, returned to New York City, where she anchored the WNJU, Telemundo's O&O, newscast for four years. When Salazar decided to take a reporter's position at Noticiero Univision back in Miami, Chilean former Miss Universe Cecilia Bolocco joined Gestoso. The final incarnation produced in Atlanta was co-anchored by Patricia Janiot. In 1994, Telemundo caught the fever of producing 24-hour news; the network launched Telenoticias partnering with Argentina's Artear Network, Antena 3 of Spain, and Reuters. The venture was not successful and the service was sold to CBS. Rebranded as CBS Telenoticias, the network did air all over the Americas. CBS Telenoticias was sold back to Telemundo and the network branded it Telemundo Internacional. In 1992, Telemundo went through another management change, as it received former Univision president Joaquin Blaya, who left Univison with four other executives. The next year, Telemundo branded itself with the campaign Arriba, Telemundo, Arriba (lit. "Upwards, Telemundo, Upwards"). Around the same time, the famed Telemundo "T" logo was introduced. In 1993, Telemundo began the ongoing practice of producing original telenovelas. The first soaps were Angélica, mi vida, Marielena, Guadalupe, Señora Tentación, and Tres Destinos. International markets and syndicators soon courted these shows. Telemundo's effort faced an initial setback when Mexico's industry leader, Televisa, bought Capitalvision, the production house that had been making the new soap operas. In 1995, under the direction of Harry Abraham Castillo, the network's Executive Vice-President of Programming, Telemundo opened its first network studio on the West Coast. On the Raleigh Studios lot in Hollywood, three shows began daily production: La Hora Lunática, hosted by LA radio personality Humberto Luna; El y Ella, a daily talkshow created and hosted by Gigi Graciette; and Dando y Dando, a gameshow hosted by Rafael Sigler. In 1998, Telemundo was bought by a partnership between cable's Liberty Media and conglomerate Sony Pictures Entertainment. Helmed by yet another management team under the leadership of former CBS executive Peter Tortoricci, hopes of attracting the bilingual market were explored. The Lo mejor de los dos Mundos ("The best of both Worlds") campaign was launched. Several billboards went up in cities such as Miami and San Francisco heralding a "new era" for Telemundo. Former CBS News Vice President Joe Peyronnin founded Telemundo's network news division in 1999 and served as its Executive Vice-President until 2006. After Tortoricci's resignation Telemundo was led by Jim McNamara as CEO and Alan Sokol as COO. Their programming strategy followed a more traditional approach to Spanish-language television than their predecessors, since the new team incorporated several telenovelas from Colombia and Brazil and entertainment programs. It was under McNamara that Telemundo incorporated Laura en América, hosted by Peruvian lawyer Laura Bozzo; Betty La Fea ("Ugly Betty"; lit. "Betty The Ugly"), starring Ana Maria Orozco; A Oscuras Pero Encendidos, hosted by Paul Bouche; Xica, starring Tais Araujo; the Spanish game show Números Rojos; and the Argentine children's program Agrandaditos. On April 12, 2002, Telemundo was purchased by NBC for $2.7 billion and is now a part of NBCUniversal. Jim McNamara remained at the helm of the network. 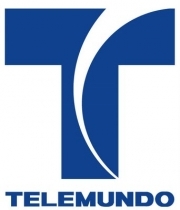 Local stations began producing early morning news to be more competitive in their respective markets; The Telemundo "T" logo received an overhaul. Telemundo's main competitor, Univision, continued to have an upper hand in the ratings, although not in all time slots. News programs were created in the wake of 9/11: Hoy en el Mundo ("Today in the World"), anchored by Marian de la Fuente and Jose Diaz-Balart, went on the air informing viewers of national and international events. This program and its companion show De Mañanita ("In Early Morning") were cancelled due to the much heralded arrival of Maria Antonieta Collins from Univision. Cada Día con Maria Antonieta ("Every Day with Maria Antonieta") went on the air in October 2005; she continued to host the program along with the much recycled Diaz-Balart as co-host. Diaz-Balart was anchor of Telemundo's morning news program called Noticiero Telemundo: Primera Hora ("Telemundo Newscast: Early Morning"), later to be anchored by Ana Patricia Candiani. Cada Dia con Maria Antonieta was cancelled two years later in May 2008 after Collins announced in 2008 that she was planning to leave Telemundo when her contract expired in August that year and that she wished to return to news anchoring and due to low ratings; it was replaced by a new morning show called ¡Levántate! ("Get up"), another hybrid of news, cooking and information, which aired live from the studios of WKAQ-TV, and was produced by Telemundo of Puerto Rico when it began airing. The hybrid included local participation of Telemundo O&0 station WSCV in the Miami suburb of Miramar, Florida, and also out of bureaus in New York City, Los Angeles and Mexico City. The show was later revamped, dropped the local cut-ins and began production at the Telemundo headquarters in Hialeah, Florida. In 2004, Telemundo created Telemundo Television Studios in Miami. The network also began subtitling many of its telenovelas into English via closed captioning. Under NBC, Telemundo gave greater emphasis to original programming and product placement. The network was spending $100 million a year producing its own shows around mid-decade. After it was purchased by NBCUniversal, Telemundo decided to stop importing telenovelas from Latin America and to start producing its own. To that end, Telemundo partnered with Colombian production company RTI Colombia and the Mexican production company Argos Comunicación. Telemundo's telenovelas follow the Mexican model. To have its telenovelas recognized by the audiences of the U.S. and Latin America, Telemundo hired famous actors and actresses from Mexico, Colombia, Venezuela, Argentina, and Puerto Rico; Telemundo now also hires American-born Hispanic actors and actresses who fluently speak Spanish. NBC officials asked McNamara to resign and replaced him with Don Browne, who had been head of Miami's NBC owned-and-operated station WTVJ, in 2005. In March 2007, NBC Universal announced that it had restructured Telemundo's entertainment division in an effort to narrow Univision's ratings dominance. Starting in the fall of 2007, the network was to have cut the first commercial break in every prime time show to only 60 seconds in length. It also planned to air the 2008 series Idolos de Juventud uninterrupted, using pervasive product placement instead of traditional ad spots. NBC also announced the intention to dispose of the original Telemundo station in Puerto Rico (WKAQ-TV) and Los Angeles' KWHY to finance the acquisition of Oxygen Media. On December 21, 2007, NBCUniversal announced that WKAQ-TV was no longer for sale, indicating that Telemundo Puerto Rico would stay within the NBC family. On March 18, 2008 Grupo Televisa and NBC Universal announced a 10-year multiplatform agreement that would allow 1000 hours of Telemundo programming, including news, entertainment, specials, and sports, to be broadcast over not only Televisa's free-to-air channels, but also Televisa's SKY México and cable system starting in April of that year, as well as a planned Telemundo pay channel to be launched later in the year. On October 8, 2008, Hillary Hattler the station's president gathered several employees and offered them a "retirement plan", but the initiative gathered criticism from most of those present in the meeting. On November 14, 2008 it was announced that Telemundo would end its two-year online relationship with Yahoo! on January 1, 2009 to launch a standalone hub at telemundo.com, with Microsoft as content distributor. On April 23, 2009 Telemundo became the first U.S.-based Spanish-language network to begin airing its prime time programming in 1080i 16:9 high definition. Initially, Telemundo O&Os in nine markets (New York, Los Angeles, Chicago, Dallas-Fort Worth, San Francisco, Houston, Miami, Las Vegas, and Puerto Rico) were to air Telemundo programming in HD. The remaining O&Os were to phase in HD programming over the next twelve months. It was unknown if and when third-party-owned affiliates would follow suit. Telemundo and Televisa launched a jointly owned network in Mexico in August 2009. The new network is available on cable and satellite in Mexico. On January 28, 2011, Comcast completed its $6.5 billion dollar acquisition of a 51% majority stake in NBC Universal, acquiring control of Telemundo as part of the deal. Emilio Romano was named president of Telemundo in October 2011. Romano leads the Telemundo broadcast network, its 15 owned stations, the Entertainment Division and Telemundo Studios – the No. 1 producer of original Spanish-language prime time content for U.S. Hispanics. Additionally, he will oversee the Emmy Award-winning news and sports divisions, Telemundo International, Telemundo’s digital media group, and the network’s sales and marketing units. He will also have oversight of mun2, the fastest growing lifestyle cable network for young bicultural Latinos. Whole or part of the information contained in this card come from the Wikipedia article "Telemundo", licensed under CC-BY-SA full list of contributors here.